Have you ever heard about the problems regarding the Subaru Head Gaskets? If so, you do maybe suspect that your gasket on your Subaru has gone bad. 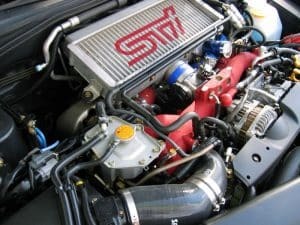 However, this is a significant problem on a lot of Subaru vehicles, and it should be taken off with care because the head gasket is a critical part of the engine and it can cause severe damages to your engine. First, you will find some necessary information and symptoms of a bad head gasket. Let’s begin! Subaru, a Japan-based company, is one of the top car manufacturers of the world. They produce a variety of vehicle, but most of their products are 1500 cc. Besides being one of the top companies, they have an issue of head gasket problem in their cars that have stained their company’s record in the market. Varying from model to model, but precisely this problem started in 1996 and, in quantity you can say, lasted until around 2011. This problem began when they started using a compound of head gasket in some of their models. This part was made up of a multi-layer steel frame coated with graphite layer or even of rubber. Usually, their lifespan is for around 75000 Kilo Metres after which they typically need to get replaced. But if the car is maintained and checked correctly, it can increase gasket’s and other engine’s parts life. The part made was not up to standards and permitted coolant leakage into combustion and exhaust pressure chamber. But the idea didn’t show up successfully and suffered loss. 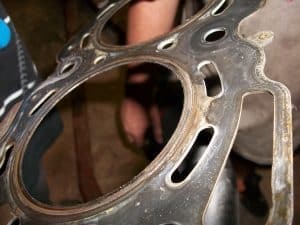 Head gasket of the engine is a thin strip made up of metal with an array of holes punched through it. They are very thin like a slice of cheese, and they are placed between the block and head of the cylinder. Its purpose is to take tolerance between two heavy metals. Additionally, they bear the combustion chamber’s pressure and are also responsible for making the engine oil stay in place and to make sure that coolant is flowing through coolant jackets. Tightened with nuts and placed between both metal surfaces, gasket firmly seals everything. Head gaskets are usually supposed to last for life of an engine, and if failed, they can only be replaced. Head Gaskets don’t appear to be moving, but they are like moving parts. With the change in engine’s temperature, they run slightly as every operating cycle of engine dissipates the heat at different rates and pressure through the head and block effect on the seal. When the head gasket fails, the engine’s ability to bear combustion pressure is mixing with coolant or engine oil. Engine Oil and coolant leakages are observed too. Purpose of the head gasket is to make sure that two metal blocks are secured together with hundred percent surety. So when gasket gets faulty, slight gaps are formed allowing oil to leak from them. This leakage shows a possible chance of faulty head gasket. Because the cylinders are fitted on the side of a Subaru engine, and the oil will flow downwards, you may see oil leaks from your engine. Head gasket makes sure that it provides proper passage for coolant to flow through its relevant portion. This absence of coolant directly affects the engine and heats it as a result temperature gauges present on the dashboard goes up. With a faulty head gasket, there may enter compression in the coolant system, which will cause air in the coolant. This will cause an Overheating engine. In such high temperatures. One should stop their car and fill its radiator with more coolant or put on lubricating engine oil and consult a technician or mechanic on the earliest possible basis. Sometimes leakage of coolant and is not as effective as it should be on short or medium distance drives as engine roles-on in whatever oil is presently providing temporary lubrication that is enough for small movements. But when you take your vehicle for a long drive, it makes your engine work and so more heat is produced. To encounter this heat, more oil and coolant is needed. Any leakage in head gasket will result in more friction and heat. Gaskets are usually hidden under the top part of the engine. To check them, you will have to remove the top part of the engine and even then you have to be a very price to locate it. It is highly recommended to assign this task to a highly professional mechanic to avoid any possible mishap. Although there is no problem and getting it done yourself but the sensitivity of job prefers highly skilled mechanics. Firstly leakage of coolant needs to be detected. Leakage can happen anywhere in the number of pipes connected to and from the radiator to the engine. So it’s recommended to start from radiator towards the engine. Usually, leakage is visible, all you will have to do is find it. Usually rise in engine’s temperature indicates a fault in the gasket. The breaking of the gasket is very uncertain and unnoticeable. It neither give any sound nor any visible difference, but one the most appropriate indications is a rise in temperature. In case you see a rise in temperature, look for coolant level in the radiator. If there is no water in the radiator, then let your car remain on and check for which gasket is a leak. You can expect a replacement cost of anywhere between 400-1500$ for the labor cost of the head gasket replacement. The cost of the head gasket is ranging from 80-150$. It will be highly appreciated if you leave your gasket’s problem to a mechanic. It requires high expertise in diagnosing and then working on what problem is diagnosed with correct tools and approach to make sure that maximum chances occur of getting it done the right way. Although mechanics do charge a hefty amount to repair gasket failures, but to mend it, they need to open up the whole top half part of the engine.